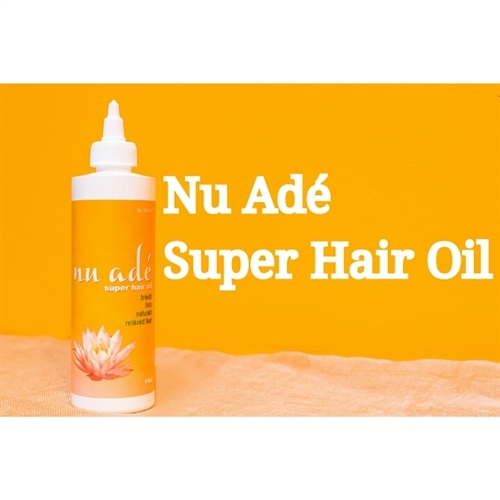 Nu Ade Super Hair Oil is a heavy concentrated oil recommended for use with curly to coily hair with medium to thick textures. It allows for easy detangling when combing damp and is also a great for loc maintenance and styling. 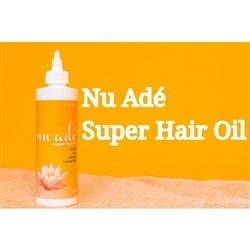 * Combine this Super Hair Oil with your favorite conditioner for an intense treatment. Directions for use: Apply oil to scalp and hair, then massage. Usages: Oil Rinsing, Deep Condition Loc Maintenance, Styling Aid.